A customer of mine gave me this recipe a few weeks ago. We tried this – It’s really easy! It tastes a lot like angel food cake, which I’m not a fan of, but I think my kids are going to love it! I tried it myself, and will allow the babysitter to make this with my kiddos this weekend. Best part is, it’s shelf stable. So once you mix it up, just put it in an airtight container or a Ziploc bag and put back in the cupboard. Mix the two cake mixes together. Put 3 tablespoons of the mix into a microwave safe coffee mug, add 2 tablespoons of water and microwave for 1 minute. That’s it! Do you get the name now? 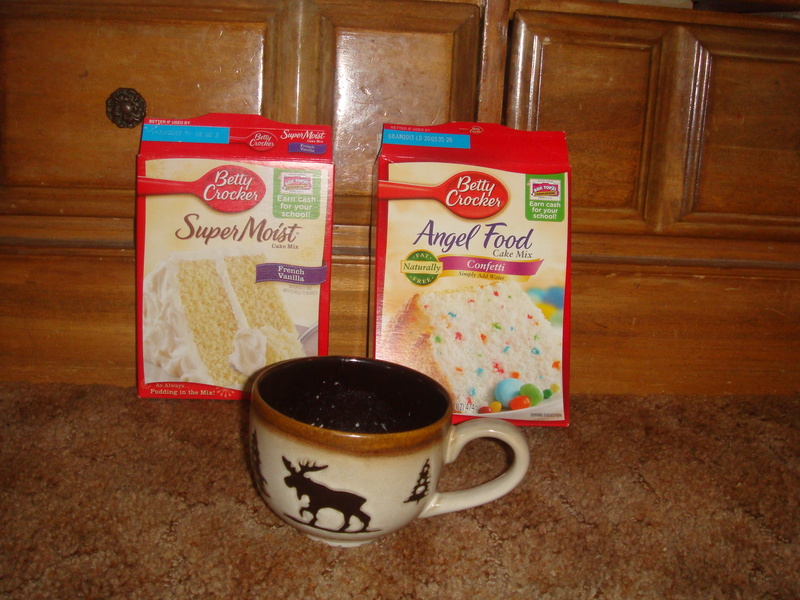 3-2-1 Cake…3 Tbls cake mix, 2 Tbls water, 1 min in the microwave!